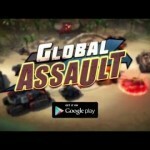 Global Assault is a squad based RPG with brilliant 3D graphics! 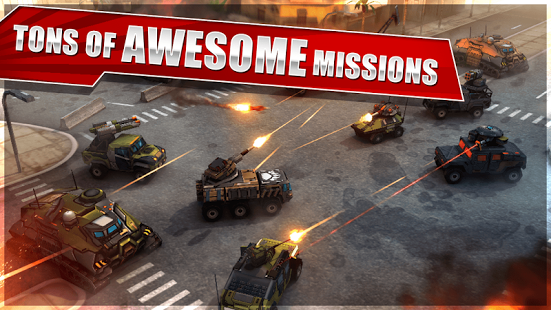 Upgrade your units and adventure around the globe completing epic battles! 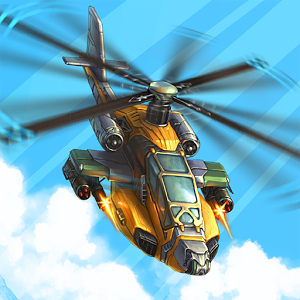 The bases of powerful global protection force, Havoc, have been destroyed by the rebels of Shattered Sun. 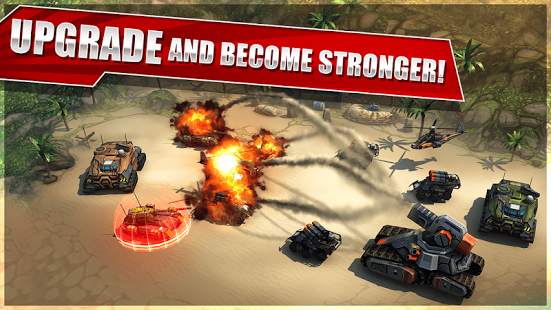 Take control of Havoc, rebuild your bases, and defeat the rebels! The warfare is fierce; you’ll need powerful forces to win. 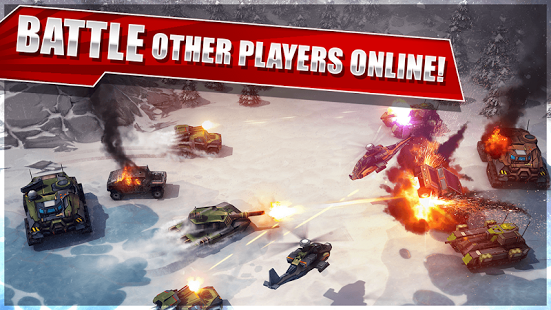 Build armies from hundreds of different units, including the mighty Trident and the invulnerable Mule! 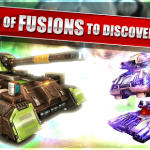 Upgrade and fuse units together to create unique and rare new weapons! The rebels of Shattered Sun have taken over on a global scale. 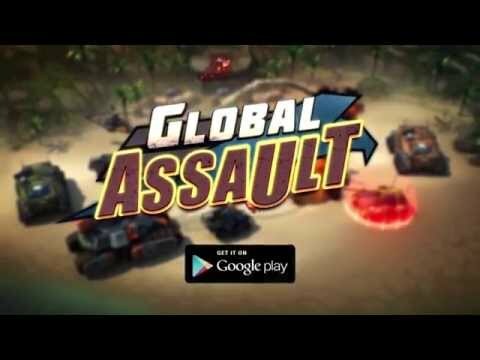 Unlock powerful units, research thousands of combinations, and upgrade your armies to defeat your enemies and save the earth. Fighting more battles will increase your abilities and propel you towards victory. Compete online against other players in advanced warfare to earn Equipment and Scrap for your units! The stronger your abilities, the higher you’ll climb! Lead Havoc’s armies to victory over the Shattered Sun rebels! The earth depends on it! 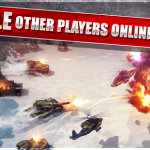 ✔ Join hundreds of thousands of other players around the world! 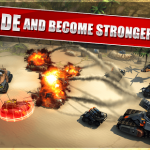 ✔ Train powerful armies to battles against enemy rebels! ✔ Conquer enemies across the globe! 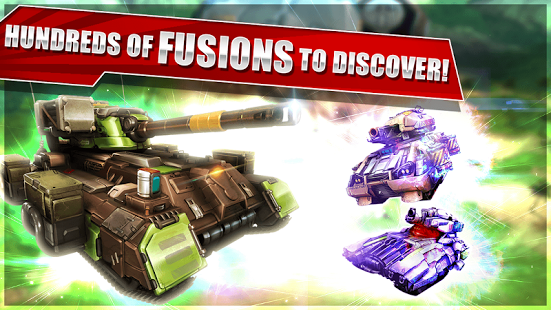 ✔ Upgrade, research and fuse powerful units to strengthen your Army! ✔ Participate in Events and win valuable rewards! 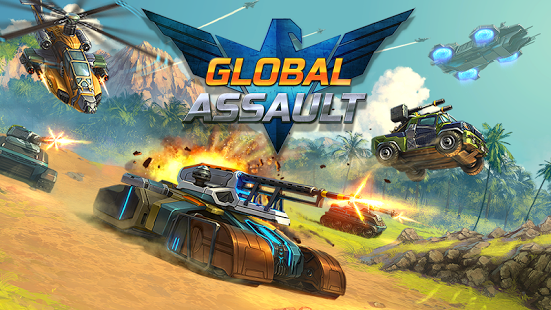 Global Assault is optimized for Phones and Tablets. 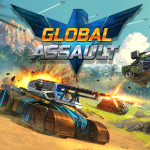 PLEASE NOTE: Global Assault is free to play, but some extra game items can be purchased for real money. You can disable in-app purchases in your device’s settings. *Skip Button implementation for high level players. *Added functionality for viewing Command Pod equipment during battle. 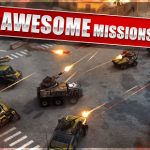 Subterfuge Megapolis War of GloryBlitz CastleStorm – Free to Siege Galaxy on Fire™ – Alliances Clash Of Gods World at Arms Defenders 2 Tower Defense CCG Goblin Defenders 2 Defenders Field Defense Tower Evolution Kingdom Rush Sundown Boogie Frights The Walking Dead No Man’s Land Blood Bowl Kerrunch Spyfall Offline!